It occurred to me that for all the mention of my writing and my book, I've never disclosed much about what Dirty Shirt: A Boundary Waters Memoir is about, or how it came to be. I know I've addressed the process and lamented about my struggles with it, but I've never really prepared an elevator talk outlining what the book is about. Part of me just assumed that from the title, people could figure it out for themselves. Another part of me thought that I should keep it secret, or to myself, so that the book would be somehow more engaging or self-revealing to people when they read it. Neither of these are good assumptions to make from a marketing standpoint. People don't get interested by "mystique". So, I'll try and talk a little about the book without giving it all away. The book actually was never intended to be a book at all, I'll start with that. In 2005, I enrolled in a class called Writing from Your Life. 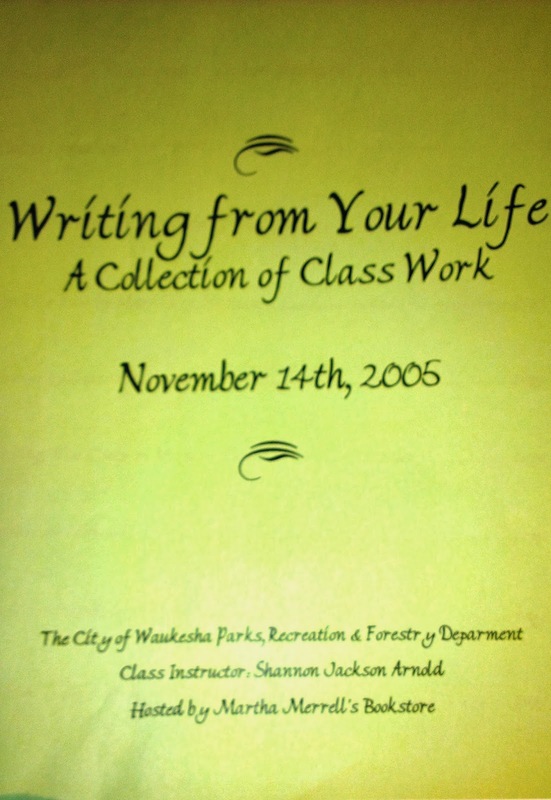 It was a class offered through the City of Waukesha, was about 8 weeks in duration and focused on memoir writing. The class was taught by Shannon Jackson-Arnold. She wrote a book titled Everybody Loves Ice Cream and she was a great, motivational instructor. The class was informal in nature and was a great way to get me back into the writing groove. There were many people my age range in the class, most of them novices who just wanted to write more. The goal of the class was an 8-10 page paper which would then be compiled into a booklet of everyone's writings and at the conclusion of the course, we would read them in front of the class. In looking back on it my piece was a roughly crafted piece of crap that served a bigger purpose. What it was was a really, really rough overview of the eventual book. The piece wanders aimlessly and never really keeps a train of thought. Humor is woven throughout, but that's about all the piece has going for it. Anyways, a few years later, I enrolled in AllWriters' Workplace and Workshop and decided to keep writing about the Boundary Waters. My primary intention was to have something to give my family - stories to pass down - but eventually my instructor Kathie Giorgio said, "Maybe you want to take this broader, as a book, to the general public." The thought had never occurred to me, but when she assured me that it could be put together enough as a book that would sell, I was ALL IN. The book, in a nutshell, is about family, friends, adventure and bonding. It is generational in nature spanning three generations in its scope. For readability, it is broken into three sections. The first section is about trips I took with friends in 1979 and 1980. We were green behind the ears, our eagerness was only outweighed by our bad planning and decision making. We did many things wrong, but learned a ton along the way. The second section section covers the years my brothers Tom, Rob and Paul and I went up to the area in the late 80's and early 90's. In the process of trying to strengthen our own bonds, we, in some strange way, connect with our father who none of us really ever knew. It was never really our intent to seek out his spirit in any way, it just sort of happened as a by product of spending time together in an area he loved. 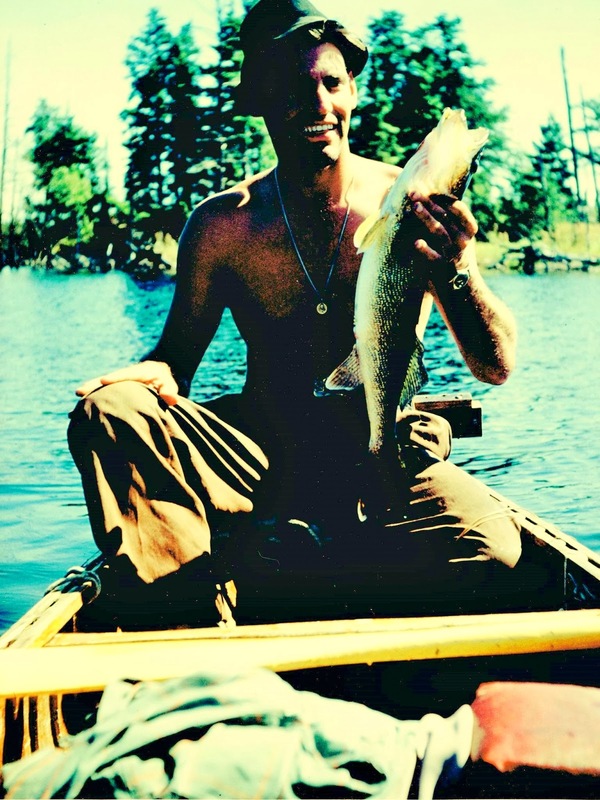 He was a rugged outdoorsman and somehow, in taking part in activities he revered, helped us to learn what made him tick and, in the process, better define who we were becoming as young men. The third section skips ahead almost twenty years when we return to the Boundary Waters as fathers with children of our own. We all recognized the value of the wilderness experience in shaping our relationships and wanted to pass it on to the next generation. This brings us back to the memories we had of those early years and we reconnect with each other in a new way altogether. The book is filled with action and occasional hilarious mishaps that come along with any outdoor adventure. Everything from the unexpected downpour to a little rapid-wrangling to the implications of toileting in the middle of the woods without walls. From chipmunk hackey sack to the world's cheapest, most functional canoe rack. From an itinerary planned by 18 year olds that holds up like it was planned by 18 year olds, to the attack of a crazed loon. I can't make this stuff up, people - which is why I write nonfiction, I guess. And so, hopefully I've piqued your interest now, too. Tell your friends and stay tuned, the best is yet to come: 127 days from now, to be exact. It has been an incredible journey since that day in 2005 when I decided to do something about the longing in my heart to "do something with my need to write." I have to thank the people at eLectio Publishing for believing in me and giving me this chance to take my writing to the wider world. I will do my best to see that we're both successful with it. And finally, while I can't say I'd never dreamed of writing a book, I will say I never would have dreamed that it would have taken this kind of a zig-zaggy route. But I'm sure enough glad it did.